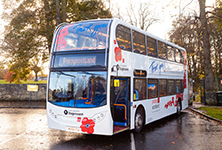 The specially designed double decker features a host of giant poppies. Bus company Stagecoach East Scotland is celebrating its local communities and the environment this week. 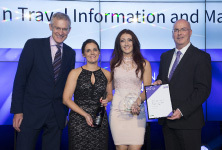 Stagecoach East Scotland was named winner of the award for Excellence in Travel Information and Marketing at the 2018 National Transport Awards. 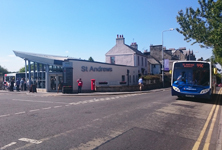 Stagecoach East Scotland has been short-listed at the 2018 UK Bus Awards for categories including Marketing, Innovation, Customer Service, Operations and individual employee success.